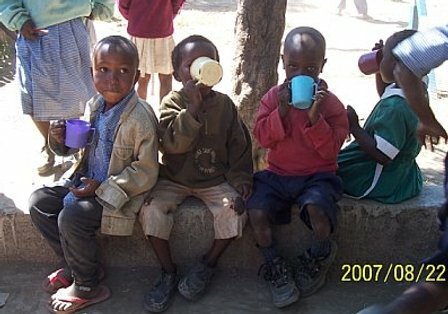 The Melon Project is a non-profit organization that works to better the lives of children and their families living in Nakuru, Kenya. 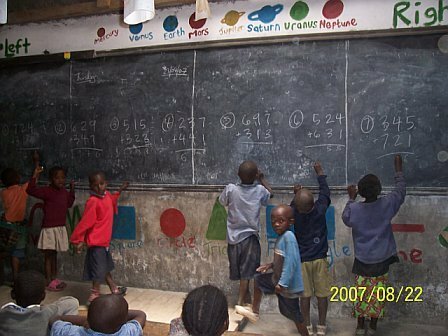 One of the objectives of the organization is to offer basic education to the orphans and destitute so as to join the mainstream of other school going children. 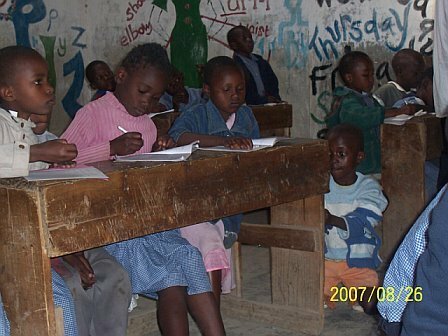 The bound books that are written in this camp will sent to Kenya and used as a learning tool for these children, especially to aid in the learning of English and American culture. On the first day of each camp, an organizer of this The Melon Project with share with students the purpose of the organization so that they will understand their audience. In the year 2004 Bishop Joseph M. Kagema of Chosen Pentecostal International Fellowship (C.P.I.F) was deeply touched by a situation that is currently affecting most of Kenyan Communities of Orphans destitute and vulnerability in the society .It was at Nakuru town that Bishop Joseph witnessed a completely neglected group of people roam from one street to another and in the filthy garbage pits the innocent street children scavenged for their daily bread. There were young, old and even families that depended entirely on food from garbage pits, begging and others going to an extend of involving themselves in criminality activities to earn a living. At the end of the day the street children gathered in the neighboring town slums and as a way of forgetting the daily predicaments they have to face, the street children gathered, took intoxicating staffs like sniffing glue and called it a day. ​Out of sympathy and compassion for the ravaged community, Bishop Joseph mobilized the street children at Nakuru estates. The miserable children headed to his call with a lot of expectation, which the street children always hold, of having one who can realize that they are part of the society, and need to be incorporated fully to the society. By mobilizing the children, he arose their hope of a brighter future, and as a response and step towards a new beginning, some accepted to surrender small containers of glue that they always held in their hands, and incase of lacking left over in the garbage, sniffing glue would supplement the loss. It was a new dawn for forty street children in Nakuru town. From then, Bishop Joseph and his wife, organized days in which they would go and meet the street children and to begin with, they provided them with a meal, washing detergents and then counseled them on how to avoid some immoral aspects they held. They couldn’t fully meet the needs for the many street children who were continuously joining the group, though their friends who noted their struggling efforts on the well being of the children, offered few old clothes, to cloth some children who wore tattered clothes. The more time he spent with them, the more they opened up on their various encounters .One of the major problem they had to address was to look for a shelter where he would house some of the children who spend the cold nights in the open make shifts .On trying to sort out the predicament the street children faced. It marked the beginning towards a long-term project.